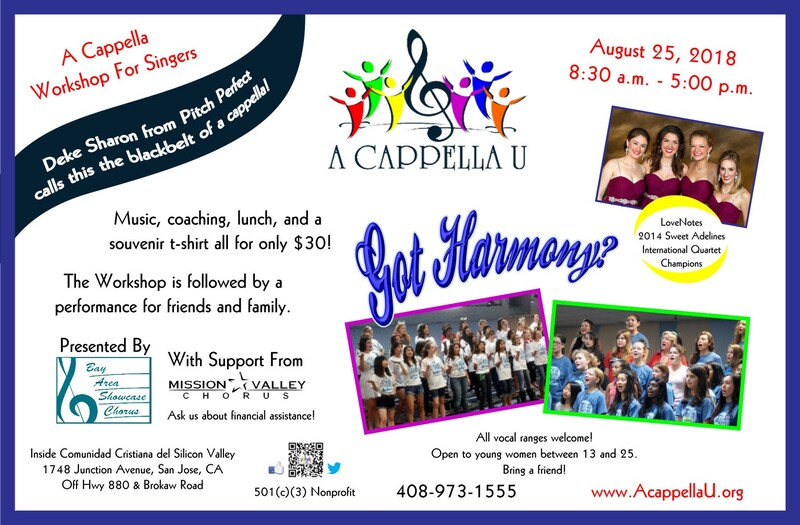 A Cappella workshop for young women singers between 13 and 25. All vocal ranges welcome. The workshop is followed by a performance for friends and family.